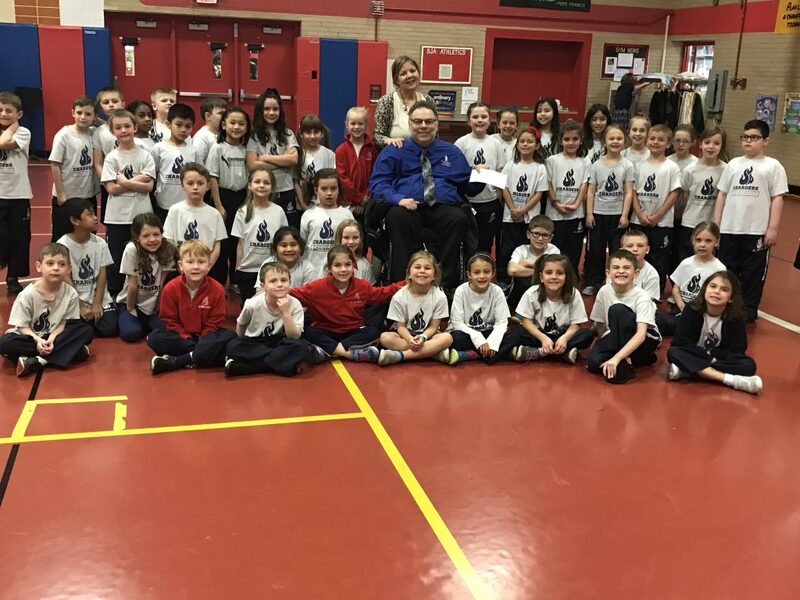 SJA students raised $2000 during the penny wars competition between the grade levels. 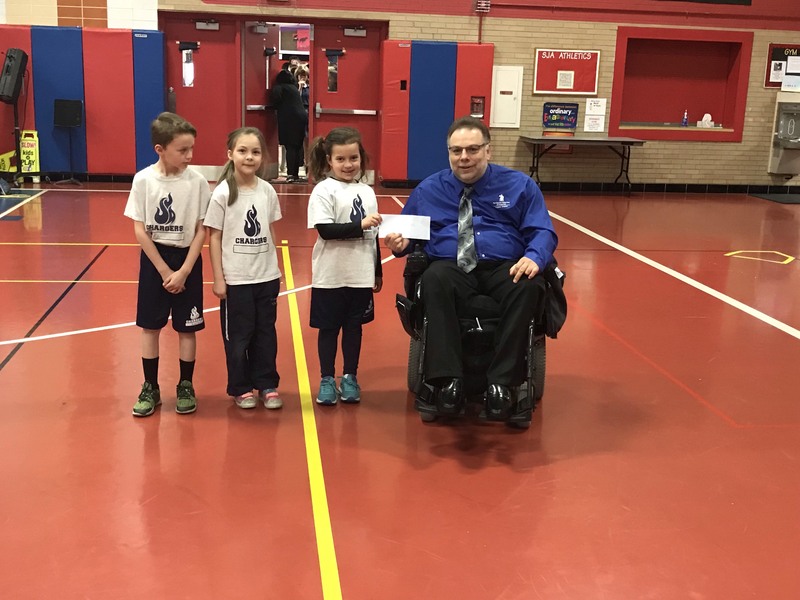 This competition took place during this year’s Catholic School’s Week. 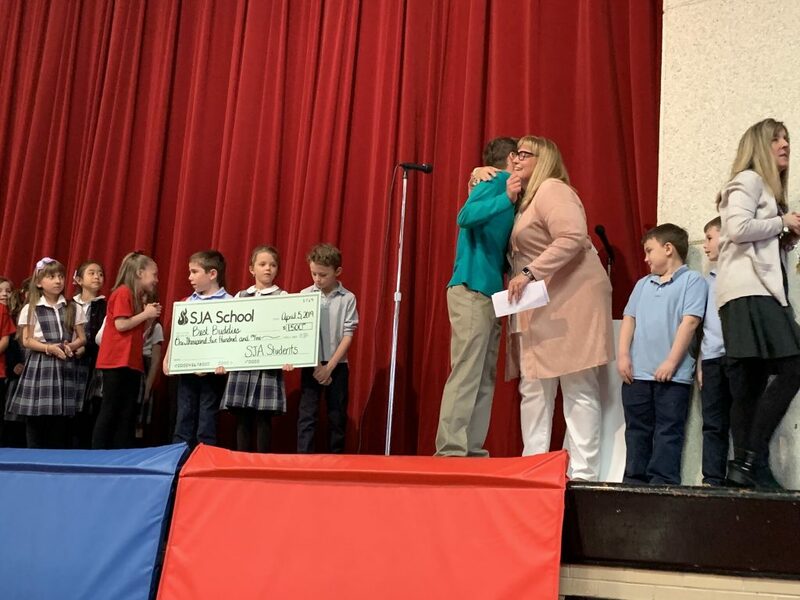 The winning grade levels got to decide where to donate the money. 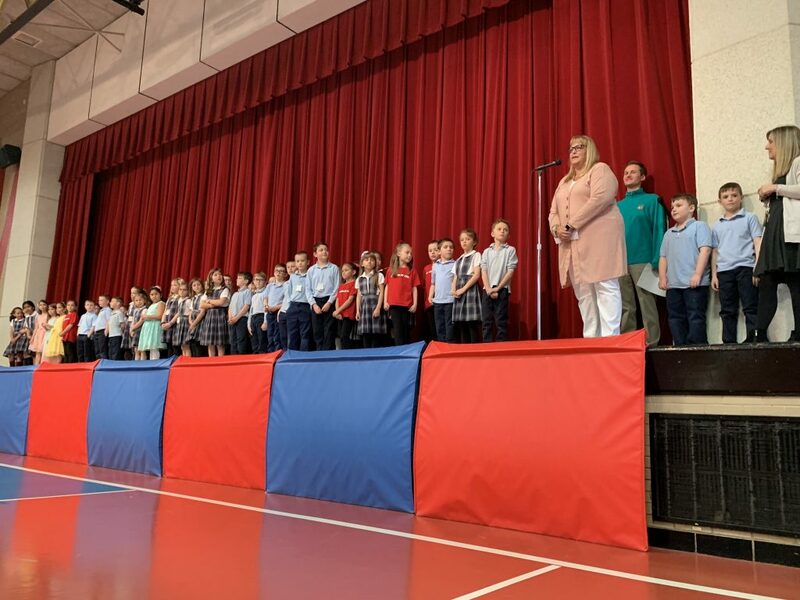 The winning team of our first and second grade students chose to divide the money between two different charities this year. 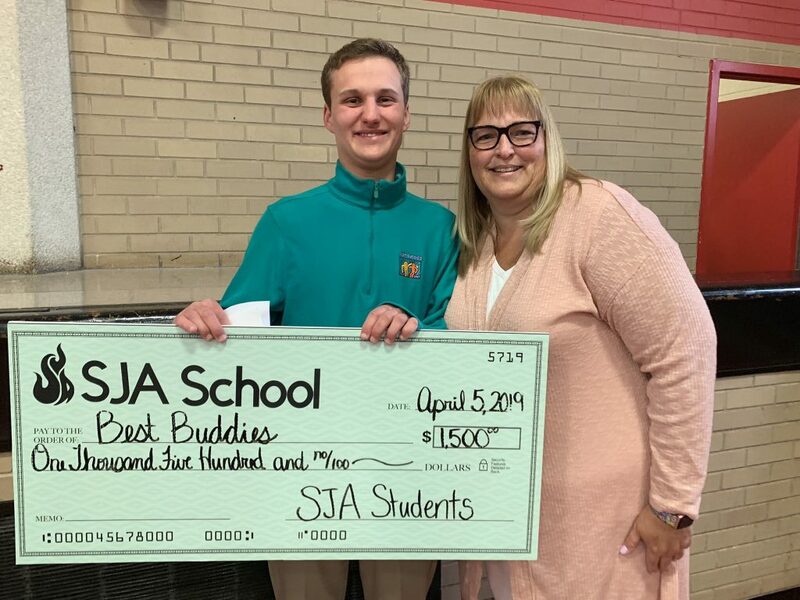 The winning grades presented Best Buddies and the Paralyzed Veterans of America with checks.